IWI Team would like to thank all our customers and stakeholders for putting us in a position that allows us the opportunity to give back to our community. IWI Consulting Group is a proud sponsor and supporter of kids with Autism via the South Asian Autism Awareness Centre (SAAAC). The SAAAC Autism Centre is a registered charity based in Toronto principally formed to aid and empower newcomer and low-income families living with Autism Spectrum Disorder (ASD). In support of its primary mission of increasing access to ASD services to underserved communities, the Centre engages in a wide range of advocacy and awareness building initiatives in addition to providing free and subsidized programs for the benefit of individuals and families. Currently the centre serves 300 families across 11 unique programming streams, which are supported by 21 staff members and 150 passionate volunteers. IWI Consulting is one of the proud sponsors of Radiant Night Autism Charity Gala event which was held March 2nd, 2019 at the Scarborough Convention Centre. 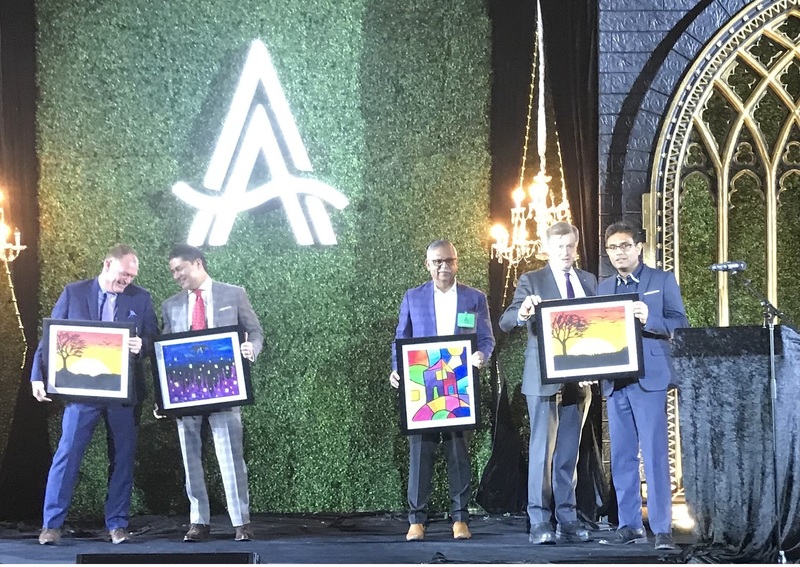 Our President Krish Thurairajah with Toronto Mayor John Tory at the 2019 SAAAC Radiant Night Autism Charity Gala Event.